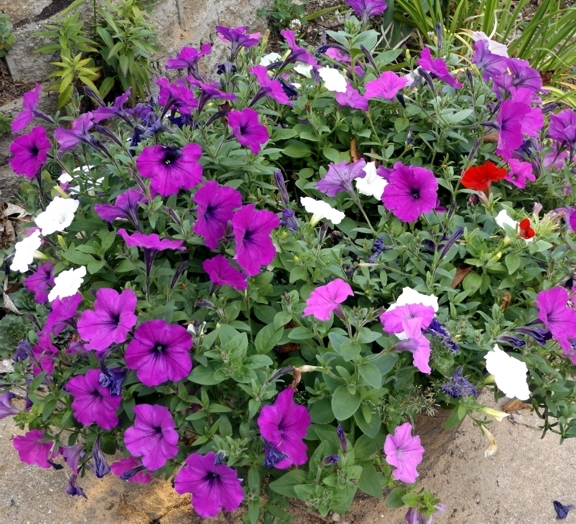 Petunias are annuals in my zone 5a to 4b area. Seeds are not supposed to survive or we could plant them in the fall. Plus, petunias are hybrid, so if seeds did come back they wouldn’t be the same petunia, or at least that’s what I thought. So why did it happen in two of my containers? 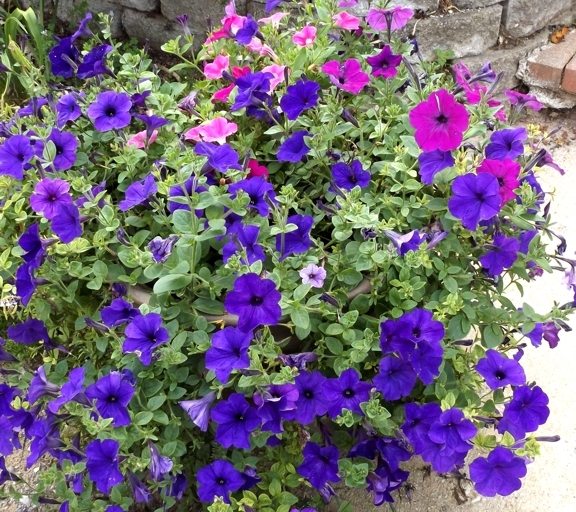 The deep purple petunias are what I planted the summer of 2014. The pinkish purple, which have been overcome by the deep purple, were plants put in this past spring. Last year versus this year petunia completion. It happened in image of the second container too. Here those fuchsia petunias did much better. Yet, those white and red flowers? They came from the red, white, and blue plants I placed in the container in 2014. Both containers were buried in snow over the winter, once snow came. Until the snow, they were exposed to the cold of this area. So what happened?